4 Seasons Heating and Cooling is dedicated to delivering high quality heating services at a price you can afford! Repairing or replacing the furnace or heat pump doesn’t have to break your budget, and you don’t have to settle for second-rate services! No matter what your needs may be, 4 Seasons has a professionally trained and licensed technician to handle the job with expert hands and genuine concern for your comfort. 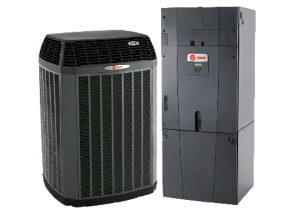 4 Seasons Heating and Air Conditioning understands that investing in a new furnace or heat pump is a big decision, and we want you to make the right choice! We will guide you through the replacement process and help you choose the perfect heat pump or furnace for your heating needs. Our heating systems were built to deliver dependable performance and economical warmth at a budget-friendly price!